Great Team Effort deserves Great Rewards! 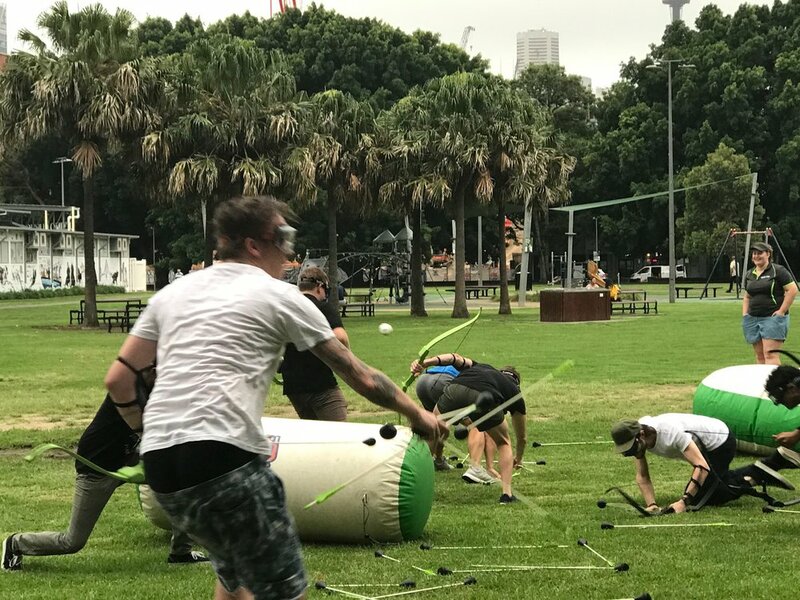 It was game on for the Spiel NSW Team as they picked up their bows and arrows and took to the battlefield! The strategy and skills employed for each game were great unfortunately with no time to practise, casualties were high! It was a great fight with each team seeing victories over the course of afternoon. The continuous laughter made for a memorable afternoon for all. On the other hand, after a very pleasant sail across to the Island it was a battle of the minds for the Queensland team! Suddenly put to the test to uncover the buried treasure the Spiel team had to rely on their formative skills. This was followed by pass the parcel with a twist, giving staff the opportunity to share some famed dance moves, a song even some joke telling! Lots of laughs and a great way to celebrate the enormous successes in 2018. Well done to the Spiel Team in 2018 and these events are what memories are made of! You are all awesome!